For our “Ask The Star” feature we got to spend some time with charismatic musical star Kieran Brown. 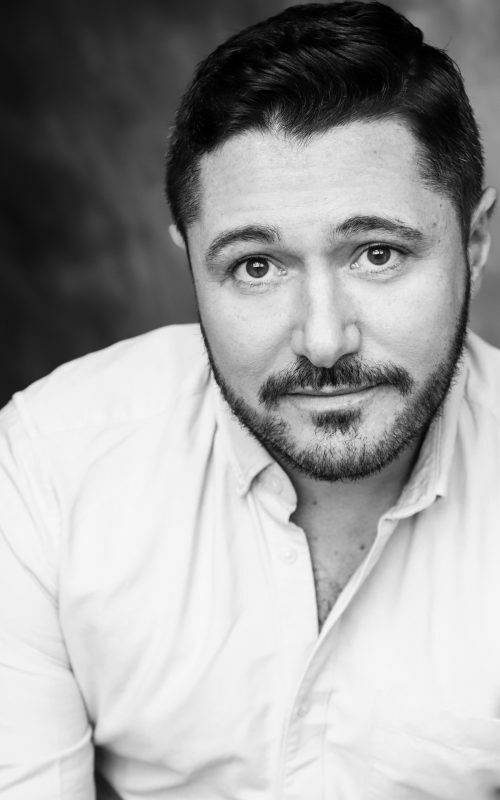 Kieran has performed in many roles including Phantom of the Opera and Tick, tick….Boom! 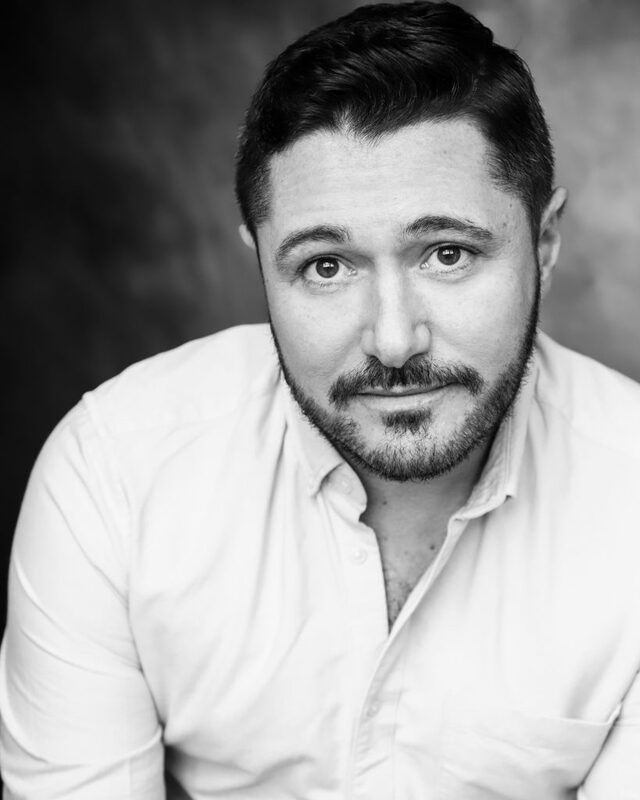 He also performs as part of the Barricade Boys vocal group. Currently starring in Titanic the Musical, we talked about changes in the industry, falling on Fantine’s train and how he could have been a teacher! How did you get into theatre was there a particular role that resonated with you? 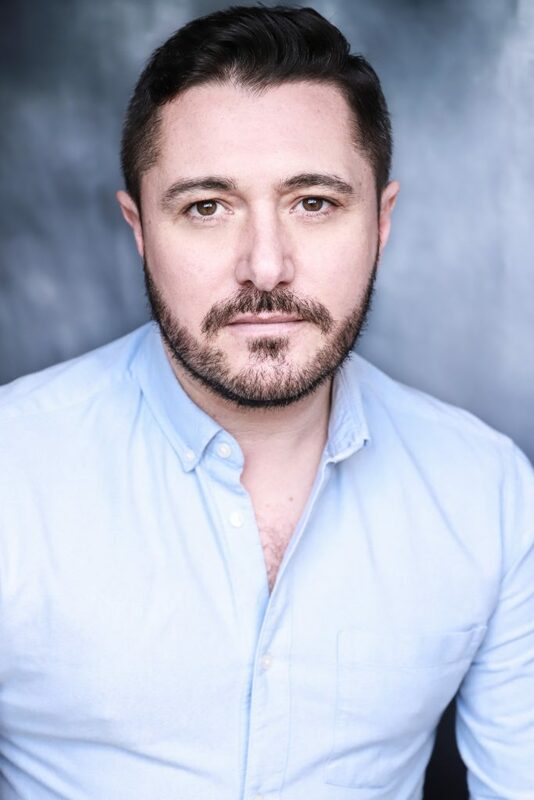 I remember seeing Les Miserables at the Edinburgh Playhouse when I was around 11 and just falling in love with the show, the role of Jean Valjean in particular, and deciding there and then THAT was what I wanted to do. I was fortunate enough to have an amazing mentor throughout my school years, Bill Graham who guided and supported me, teaching me the very basics and helping me move straight from high school to the Royal Conservatoire of Scotland – it was a relatively rare feat for someone my age to go straight from high school into the RCS, so I was very fortunate to have his guidance. I have also been blessed with an unquestionably supportive family who’ve been with me every step of the way. To say I’ve been lucky doesn’t cut it! You have worked with The Barricade Boys – can you tell people a bit about the vocal group if they may have not heard about them? The Barricade Boys, unlike some other vocal groups of similar ilk, consists primarily of former cast members from Les Miserables (Les Mis was my first west end job after graduating from RCS in 2000), and who have all had experience working in major west end shows. It was set up by two very dear friends of mine, Scott Garnham (Billy Elliot, Les Mis) and Simon Schofield (Oliver, The Sound Of Music). They wanted to create high quality, fair paid work for themselves and their mates when they are in between jobs (as many of us are often). So far it has taken us across the world on some of the finest cruise ships on the high seas, to Broadway, in front of more than 20,000 people during West End Live in Trafalgar Square 3 years in a row, and we did a sell out Christmas show at the Other Palace Theatre in London over Christmas (where we were asked to provide the entertainment for Lord Lloyd Webbers Christmas party) I going from strength to strength and their company Sisco Entertainment has really taken off! Apart from unique takes on some Les Mis and musical theatre classics, we cover all styles of music, from Queen, to Michael Jackson, Journey and The Beatles, all with some witty banter. We try to really include the audience and the main thing is we are all friends and have a laugh – that translates onstage too so the audience have a ball! If you had not have become a performer what do you think you would have done instead? I toyed with becoming a journalist and very seriously considered becoming a primary school teacher but the lure of the stage was too strong! 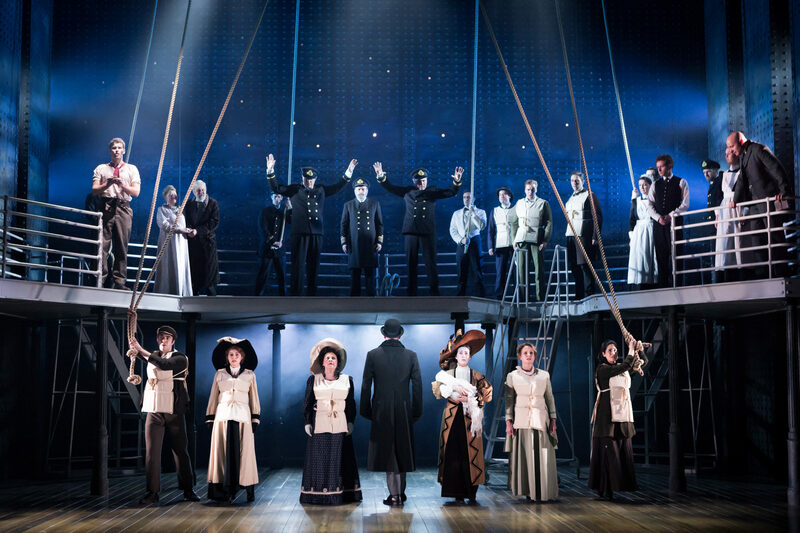 You are currently staring in Titanic The Musical – what drew you to this role? I’d heard such wonderful things about the original production and have known the score for years. The creative team I’ve also wanted to work with for years but the right opportunity had never presented itself so when my agent mooted the role of First Officer William McMaster Murdoch, also a Scot, to me, it was a no brainer. He was very unfairly portrayed in the James Cameron film so it’s nice to have a chance to paint him in a softer light, sharing his aspirations and his subsequent overriding sense of guilt for the tragic events that took place. It’s easy to forget that the roles in this production are all based on real people, who actually went through this unthinkable disaster – not just characters created by a writer. Real people, real stories, real emotions. It’s quite a challenge to put yourself in their shoes night after night and try to tell their stories as respectfully and with as much dignity as you can. It’s a beautiful production with a world-class cast and musicians. Do you think the industry has changed since you started? Very much so, and it continues to at breakneck speed in some respects. There is FAR more competition these days. People don’t HAVE to have an Equity card to work professionally anymore, which I think is a shame. Working as an actor in the West End is so different to how it is on Broadway in terms of how contacts work, wages and general levels of respect. Over there, everyone in a show, from the second spear character from the right up to the principal character is treated almost with a reverence. Over here it’s quite different…! And of course Social Media has really shaken everything up, along with the rise of “reality” TV. Nowadays people will do ANYTHING to just be famous. It’s quite sad actually, and frustrating how someone with no training or discernible talent can go on a TV show and suddenly get a leading role – but that’s showbiz! Where has been your favourite place to work? I lived and worked in Vienna for a while where I had the opportunity to tackle some wonderful roles (The Woman in Black, The Importance Of Being Earnest among them), and it is one of my favourite paces in the world. I go back as often as I can. I loved working at Her Majesty’s Theatre in London where I covered and often played the role of The Phantom in The Phantom of the Opera. Such a wonderful family vibe to be part of, right in the heart of the West End. It was a very special time for me (and a HUGE tick off the bucket list to don the mask)! Particularly working on a show like Titanic, it’s amazing to see the effect that live theatre can have on an audience. 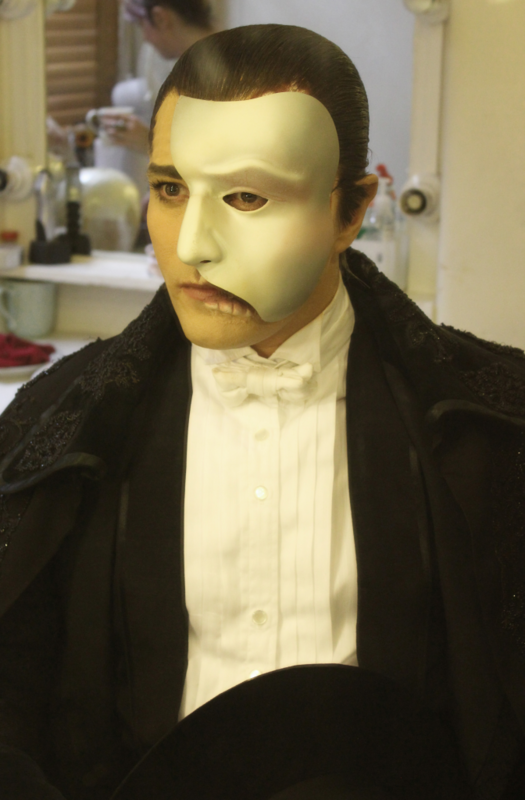 Similarly when I played the Phantom, the feedback from audiences at stage door was incredible. The impact you can have on a total stranger if you tell the story properly gives you a feeling you can’t really describe to be honest. It’s also particularly rewarding doing something like panto (which I love) to see kids who might otherwise never set foot in a theatre, really get into it and become so absorbed in the story. When I played Aladdin at the Kings Theatre Glasgow a couple of years ago, we were asked to go in costume to the Sick Kids Hospital in Glasgow and pay them a visit. It was profoundly moving – they were so excited to meet us all and play with us. It was heart-breaking to see these children going through such trauma but rewarding to know that even for just a few minutes, we were able to put smiles on their faces or the faces of their loved ones. I once had my Phantom wig slip forwards underneath the mask covering my eyes so I could hardly see what I was doing during Music Of the Night, which was terrifying! One of my first performances of Les Miserables, during the curtain calls, I slipped on Fantine’s train and landed flat on my back in front of a full house on a Saturday night who all cheered. Never wanted to disappear into the ground more! Are there any shows you recommend our readers to see (apart from Titanic!)? What’s next for you after Titanic? Who knows at the moment – we still have 7 weeks left so I’m trying not to panic TOO much. I have some Barricade Boys gigs lined up and my December is already planned so I just need to fill in the gaps – a typical actors life…! Not so much hidden but I’m a pretty decent amateur photographer – you can have a look at my Instagram page. Other discernible talents; not so much! Is there a particular role regardless of gender you would love to play? Norma Desmond in Sunset Boulevard…!! I reckon I would SMASH it…! I already know every word! Twitter, Facebook, Instagram and TravelsWithMyiPhone and YouTube. And finally is there a go to song for auditions or just singing in the shower?! Haha, well, my “go to” song for concerts is a song called “Till I Hear You Sing” from Love Never Dies (which I appeared in, in the West End and Vienna in English and German!) – I crack this one out for concerts etc. as I love singing it and apparently I do it well…! I’m not much of a shower singer – too worried about the neighbours hearing and complaining!